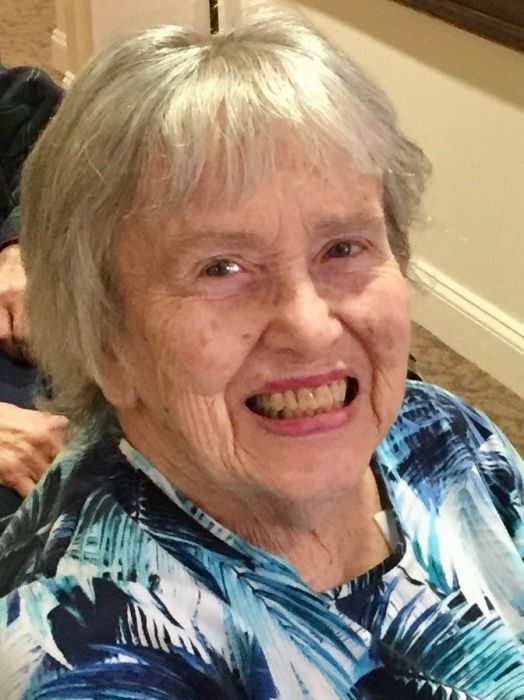 Sandra T. Orton, age 85, passed away November 2, 2018 in Frederick, MD. Born November 21, 1932 in Summit, NJ, she was the daughter of Jackson and Margaret Tresidder. She was the wife of the late James D. Orton. She graduated business school in New Jersey and spent her career as a medical secretary and home health aide. She raised her children in Sharon, MA and later lived in Charlestown, RI before moving to Frederick, MD in 2002. She enjoyed crafts, all animals, card games, and the beach. She is survived by her children Sharyn Orton of Westerly, RI; Kimberley Mullen and husband Rick of New Market MD; and Scott Orton and wife Tara of Charlestown, RI. She also leaves grandchildren Shannon, Matthew, Ryleigh, and Jameson, as well as great-grandson Arlo. She was predeceased by her sister Jacqueline Mulholland. Special thanks go to Visiting Angels, Dr. Hiren Shah, Dr. Edward Riuili, the staff of Somerford Place, and Hospice of Frederick County. A memorial service will be held in Charlestown, RI with interment at RI Veterans Cemetery, arrangements by Stauffer Funeral Home. If desired, a donation may be made to Hospice of Frederick County.